A Navy warship conducted an operation to contest China’s claims of controlling international waters in the South China Sea, the Pacific Fleet said Monday. China responded by sending ships and aircraft to confront the vessel, the Chinese Foreign Minister said. 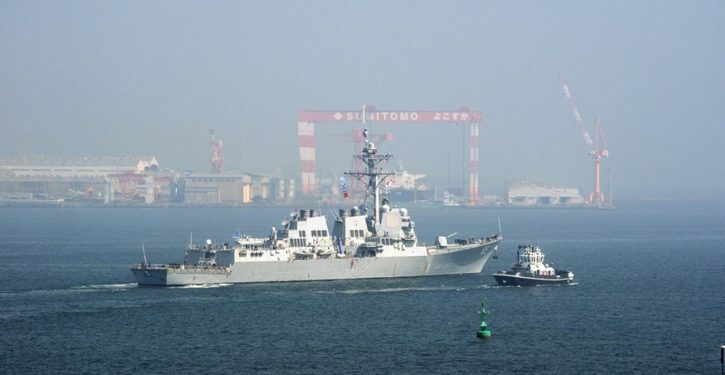 Lt. Rachel McMarr, a Fleet spokeswoman, said the guided missile destroyer USS McCampbell conducted a freedom of navigation operation on Monday by sailing within 12 nautical miles of the Paracel Islands.